"Complementaris Mundus ~ a complementarian metaphysic"
Abstract: Certain phenomena in the realm of psychology, especially, cannot be explained by science. It calls for a complementarian metaphysical model according to which the universe is both spiritual and material. But it is not experiential as a dual universe. Depending on the conscious viewpoint of the observer, it is either spiritual or material (scientific). Yet, neither of the models will suffice as sole explanatory model. This follows the principle of bipartite complementarity. The metaphysical nature of the Jungian archetype is discussed. Keywords: spirit, transcendental, science, complementarity, metaphysics, archetype, unus mundus, psychoid, C.G. Jung. The MIT theoretical physicist Kerson Huang had some interesting thinking on this and with his wife wrote an English translation of the I Ching (Workmon Press). I sent him a copy years ago of Jung's thinking on numbers as half discovered/half invented and received a jolly letter back. He said that what physics did was measure things but some things (love) could not be measured and were apart from science. His intro to his I Ching had a very interesting essay claiming the current West or "modernism" was based on a socially chosen mechanistic (power) path of Newton/Freud while it could have been an entirely different world had it been based on Leibnitz/Jung. You might add to that as well Wallace instead of Darwin. So Leibnitz/Wallace/Jung with an organic vision instead of Newton/Darwin/Freud creating a mechanistic path (The Six): It could also be suggested that Newton/Darwin/Freud path was inherently nihilistic - the path of Shadow, or Golem. What do you think about alchemy? 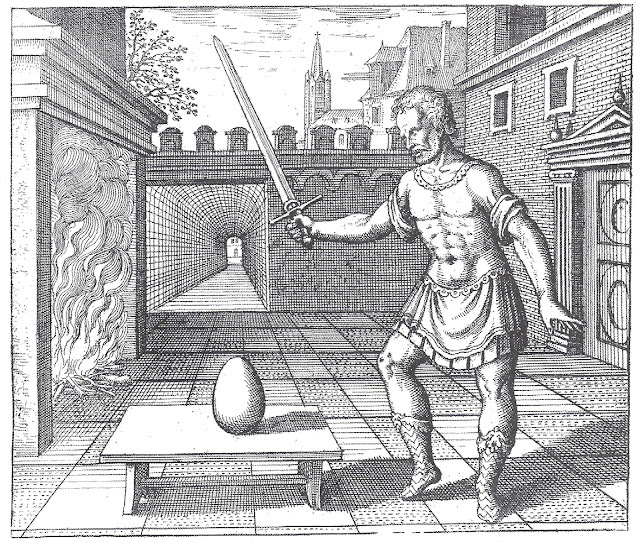 I discuss the central alchemical theme of circular distillation in The Complementarian Self (here). In my recent article, The Spiritual Method, I discuss the scintilla (here), denoting the alchemical gold dispersed in nature. I deviate from Jung's understanding of these terms. I don't think it revolves around integration in the Jungian sense. Nor do I think the nigredo (tenebrositas, melancholia) results from the integration of the shadow. I believe it is similar to how the contemplatives have experienced reclusiveness. Instead the hermaphrodite, or the lapis philosophorum, is the result of a largely autonomous process that occurs relatively independent of the ego. The ego is always associated with a Self : The ego of a primitive with the Eros Self / the ego of a modern human with the Logos Self. Our ego must merge with the Complementarian/Eros Self . Another example. In my twenties I dreamt of visiting the Holy Land with a group of hippies. By chance, we found a very valuable "uranium stone". We were immediately reformed, abandoned our irresolute attitude towards life, and undertook to refine the stone. We started a technological firm and worked hard for many years. Eventually we were capable of sending up a satellite that circulated the earth. This satellite could now be put to use, to the boon of humanity, and scientists could communicate with it to do measurements at different layers in the atmosphere. In my understanding the uranium stone represents the unrefined (and dangerous) prima materia, which harbours the uroboric self—potentially immensely valuable. Uranium contains immense power that can blow up whole cities. It glows in the dark, and it is capable of both good and bad. The end product, the satellite, is the refined Stone of the Wise, i.e., the renewed self. It is a spiritual stone in its weightless capacity to fly over the earth. Its dangerous radioactive rays (the penetrating Mercurius) have been converted to do good, now used for communication. The satellite binds together Heaven and Earth, which has always been the role of Mercury as the messenger of the gods. The scientific researchers represent, perhaps, the hermetic philosophers who now have recourse to the different layers of the ethereal realm. The goal of the alchemical process, it seems, is to establish a continuous communication channel between Heaven and Earth, symbolically speaking. As communications now can occur freely, it is the rule of Heaven that is established on Earth, long before the religious, time-transcendent, goal of the Kingdom of Christ.. I think the role of this satellite is to communicate radiations.